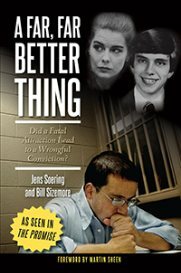 Sizemore, a longtime Virginia journalist, is co-author with Jens Soering of "A Far, Far Better Thing: Did a Fatal Attraction Lead to a Wrongful Conviction" (Lantern Books, 2017.) He was a Pulitzer Prize finalist in 2007. Ayers is correct in stating that Soering’s confession accurately described the victims’ house. That is because he had visited it twice before the crimes. Ayers is also correct in stating that Soering got some – but not all — details of the crime itself right. That is because the actual killer, Elizabeth Haysom, helped him craft the false confession that he later gave police. Soering claimed that he and he alone killed Derek and Nancy Haysom. But at the crime scene, police found FOUR different blood types: the victims’ A and AB, as well as O and B. Clearly, there had to be a fourth person involved. And that means that Soering’s confession cannot be true. Decades after Soering’s trial, DNA testing revealed that the type O blood was left by someone other than Soering — someone with the same type, but a different genetic profile. Consequently, the blood evidence that appeared to prove Soering’s guilt in 1990 now proves that someone else committed the crime. This finding was confirmed by two of the most prominent DNA scientists in the United States: Professor Moses Schanfield of George Washington University and Professor J. Thomas McClintock of Liberty University. They reviewed the original laboratory reports and concluded: The blood at the scene is NOT Soering’s but belongs to one or possibly even two other men. At Soering’s trial, Elizabeth Haysom testified against him. But in a newspaper interview published on Sept. 11, 2016, she admitted that she had committed perjury at both her own 1987 sentencing hearing and Soering’s 1990 trial. So how much faith should be put in her word? These are the facts, as uncomfortable as they may be to Ayers and some others. The careers and public reputations of the people he cites in his opinion piece depend on maintaining Soering’s guilt. No wonder they are so eager to avoid discussing facts like the above. 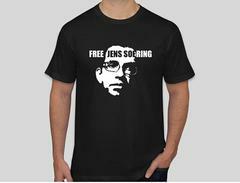 By contrast, the law enforcement professionals and DNA scientists who support Soering’s pardon have nothing to gain by standing up for justice and truth. Calling them a bunch of “Columbos” says more about Ayers than about them. According to the Innocence Project, 28 percent of all wrongful convictions follow the exact pattern of the Soering case: Someone (usually a teenager, like Soering) confesses to a crime, and decades later DNA proves that someone else did it.